We came home last night from a week visiting my husband’s family in NJ. 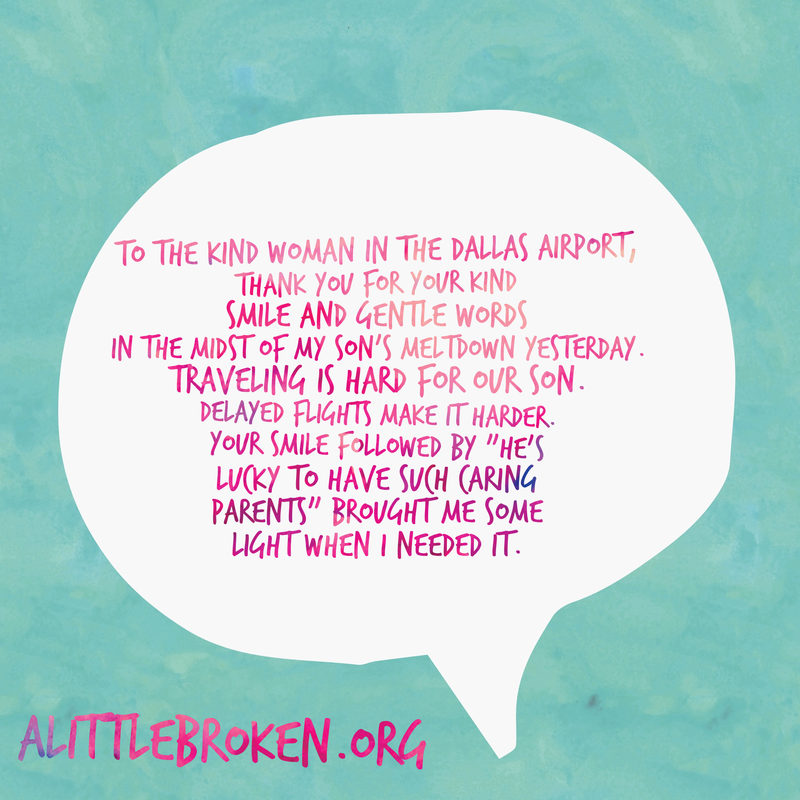 Travel for a kid battling anxiety and panic has the potential for disaster. He did fairly well on the way out (there is beauty in a red eye flight! ), but had some really challenging moments on the way home. There were thunderstorms in the Dallas area, so our “quick” connection there turned into 2+ hours of delays. The sudden change of plans and the need to sit around waiting, was enough to send my son over the edge. He had a small panic attack. Lots of people openly stared. One person moved away. One woman smiled and spoke to me….